StockLight now lets you share your favourite stocks, articles and videos with your colleagues, friends and family. If you find a company of interest in the app, just swipe down and tap on the 'Share with a friend' panel. StockLight now shows a fully personalised profit and loss analysis of your portfolio. We also added support for multiple watchlists. Based on user feedback, we introduced an easy way to enter the purchase price and date of your holdings so that StockLight can calculate an estimated return on your investments. Your holdings screen will also show dividends that were issued and an annualised return based on the holding periods entered for your stocks. The opportunity cost associated with your holding period is a very important concept when investing and that is why you need to know how your investments are doing on an annualised basis. Unlike your broker who is typically incentivised to make you trade more often and has no reason to show you an annualised return, StockLight acts in your best interest and won't hide this crucial benchmark from you. Click here to learn more about your annualised return and why it is important. For those of us tracking lots of companies, we also made it easy to create multiple watchlists. 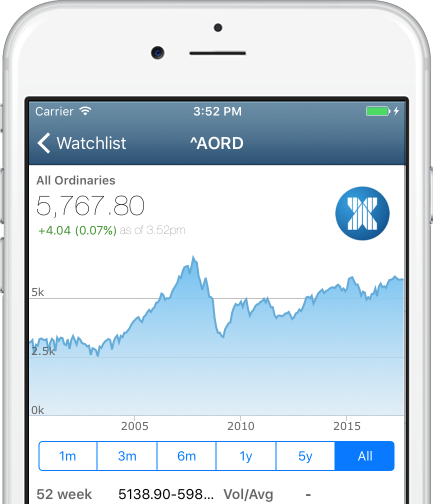 Just tap 'Edit' next to your list of stocks on the home screen to manage extra watchlists and adjust your holdings. Following on from the recent release of portfolio tracking, StockLight now also offers server backups of your watchlist and portfolio. When you update to the latest version of the app, you will now be able to log into your StockLight account on all your devices in the Settings screen of the app. See the 'How do I synchronise my portfolio and watchlist across devices?' question on the website FAQ page for more details. When logging into multiple devices such as an iPhone and an iPad using the same email account with StockLight, this will ensure that your watchlist and holdings are automatically copied across the devices each time you first open the app. Note: The email address you enter into iTunes and Google Play when making a 'StockLight Premium' or 'Remove Ads' in-app purchase is not shared with StockLight. In order to have your portfolio backed up by our secure server, you need to enter your email address directly into the app itself either when taking out a 15 day free membership or from the StockLight Settings screen. In response to overwhelming demand from StockLight users, we have introduced support for the NASDAQ & NYSE stock exchanges. Now you can use Australia's favourite stocks app to track american businesses like Apple, Telsa Motors, Berkshire Hathaway, Facebook and more. Over 3,000 stocks from the NASDAQ have been added as well as close to 3,000 stocks from the NYSE and over 300 stocks from the NYSEMKT. 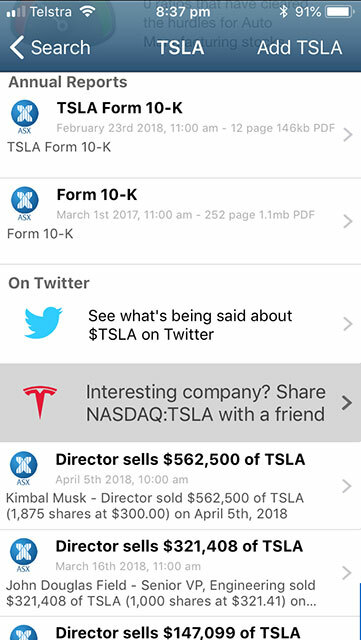 With push notifications of dividends, insider trades, price history and annual report 10-K PDF documents all found in the same place, StockLight is now your go-to research tool for stock investing in North America. Canstar interviews Jason about competition, challenges and expansion. Did you know that Twitter lets you research stocks using ticker symbols like $BHP? Cashtags were originally pioneered by american website StockTwits prior to being adopted by Twitter and provide for a structured way to tag social media commentary against listed companies. StockLight today announces a partnership with Australia's leading provider of video market commentary; Finance News Network (FNN). FNN regularly conduct exclusive video interviews with ASX CEO's by putting them on camera to highlight company results, discuss strategy and project future outlooks. StockLight has developed a proprietary in-app video player and FNN integration to redistribute this content to our entire audience of Australian investors. Yesterday, Sydney Airport CEO Kerrie Mather featured in our first video. Any StockLight subscriber who held a premium subscription and had their watchlist configured to track ASX:SYD received a notification about it straight to their devices News Feed. StockLight is proud to be Australia's first mobile app to offer CEO interviews as we continue to innovate new ways for every day Australians to research and invest like a professional. Simon Van Es, Finance News Networks MD comments, "As a user of the Stocklight platform we are delighted to be contributing to what is already a fantastic tool for investors." StockLight was all over the front page of Australia's biggest newspaper today when News Limited ran a piece on our new 'Insider' director transactions feature. 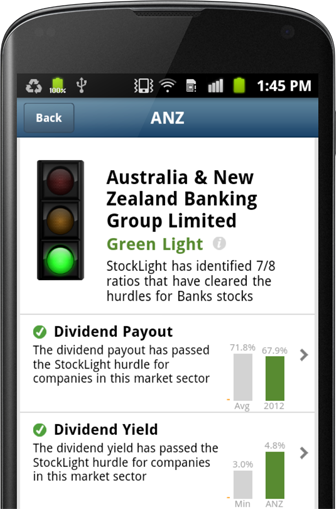 StockLight has launched it's biggest update yet with today's launch of the new app to the App Store and Google Play. "We are thrilled to be giving away StockLight 2.0 to Australian investors" said Jason Kotchoff, StockLight's founder. "With over 2,000 listed companies to choose from and the big fund managers controlling 86% of the money, less then 1% of investors (the professionals) have historically had access to such advanced investing tools." "By providing access to quality market research in such an accessible medium, we are helping to put the power back into the hands of the investing public." 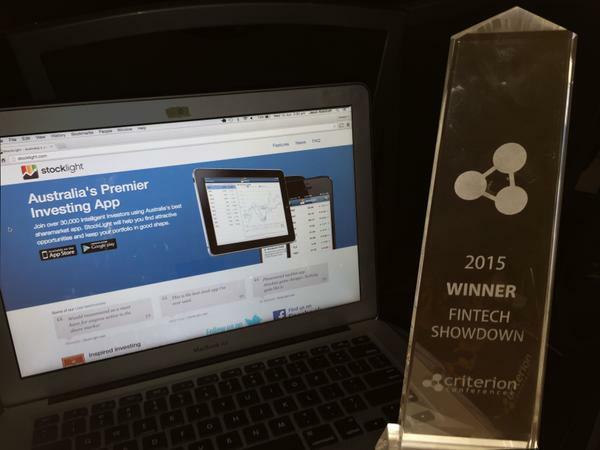 Criterion conferences invited StockLight up to Sydney to participate in their collaboration in Fintech conference and participate in a pitching competition between half a dozen startups adjudicated by venture capitalists Craig Blair of Airtree ventures and Ilan Israelstam of Apex capital. StockLight was awarded the trophy for best in show based on a combination of traction, presentation, business model and team. Huge honour for us, thanks for the invitation! StockLight has a full page spread inside the back cover of this months Money Magazine. 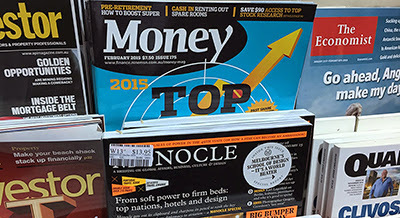 Grab a copy of February's Money Magazine edition to get $90 off StockLight and Intelligent Investor. - Intelligent Investor research articles. 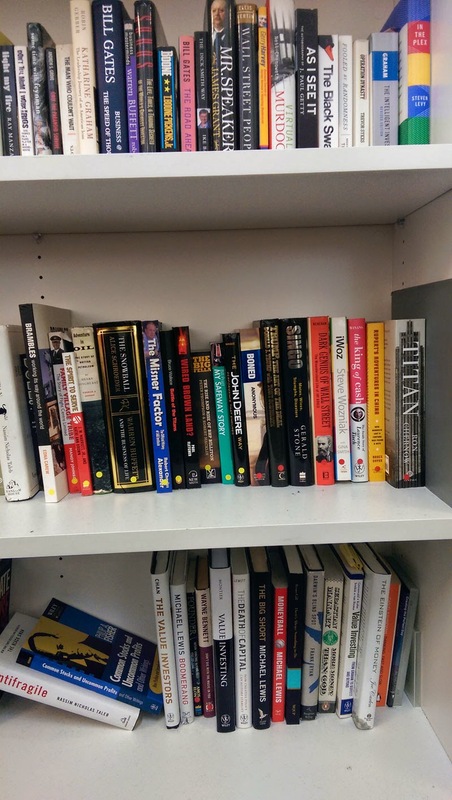 Over the past week, we have been profiling the super educational Intelligent Investor bookshelf on both Twitter and Facebook. Here are the high res photos of the whole shelf in all it's glory. Enjoy! Day 1. including The Snowball, such a classic! Day 2. Master CEO's, very insightful read. Refer to the attached media release PDF; Melbourne StockLight startup builds “Phenomenal equities app” and records 10,000 downloads. We have just recorded 10,000 downloads and based on scores of reviews so far, user feedback is rating StockLight with 4.5 out of 5 stars in the Apple and Google app stores. Check out the last page of the November edition of the Money Magazine for a full page feature and special offer from StockLight and Intelligent Investor. 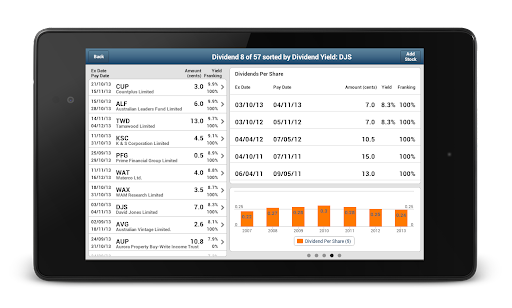 StockLight is now available with a large screen interface for iPad and Android tablet devices. All the features of the handheld app without having to navigate back and forward between screens. 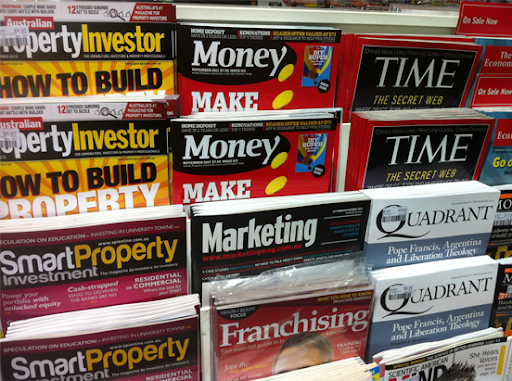 And one more thing... StockLight now comes free with 300+ education articles about how to invest. We are proud to announce that StockLight has made it to Android! 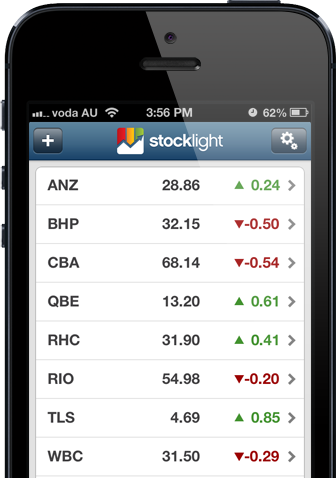 Intelligent Investor is proud to announce StockLight, a new iPhone App that will allow investors to filter the Australian Share Market to find investment opportunities using fundamental value investing filters. We are happy to announce that StockLight has made it's first release!